Southern tip of the Kenai Peninsula at the end of the Sterling Highway 1; 220 miles southwest of Anchorage. Population: Approximately 5000. 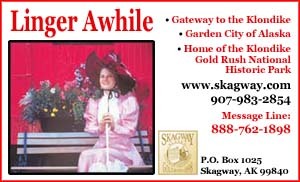 Visitor Information: Homer Chamber of Commerce and Visitor Information Center, PO Box 541, 201 Sterling Highway. 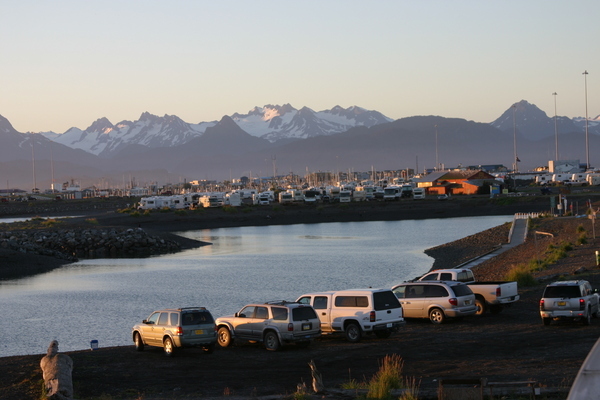 Homer, AK 99603; Phone: (907) 235-7740; Website: www.homeralaska.org. Homer is nestled in the spruce at the literal end of the road, where majestic mountains meet the sea. The view is stupendous and takes your breath away. You can fly in, a short 45-minute flight from Anchorage or drive in over Baycrest Hill, breaking through the clouds to view the city below. Homer is truly a picture perfect setting that must be experienced. Located on Kachemak Bay (the largest coastal park in the United States), Homer is a rugged mixture of mountains, fjords, glaciers, beaches and forests. Often called the “land’s end,” Homer presides over a marine environment that draws visitors from around the world. The hub of most tourist activity is the Homer “Spit,” a narrow strip of beach jutting five miles out into the Bay. Fresh halibut, king salmon, shrimp, tanner and dungeness crab abound as do clams, cockles and mussels. Trophy fish are the quest for many summer visitors while others enjoy the scenery and wildlife that include sea lions, whales, porpoises, sea otters and many species of birdlife. Gull Island, a ten-minute boat ride off the tip of the Spit, is the third largest and the most accessible seabird rookery in Cook Inlet. Eight species regularly nest on the island; tufted and horned puffins, common murres, black-legged kittiwakes, pigeon guillemots, glaucous-winged gulls and pelagic and red-faced cormorants. Homer is bustling with activity and visitors can choose from a variety of things to do or see: clamming, fishing, beachcombing, tide pooling, watching commercial fishing boats, sight-seeing, ferry boat rides and Bay tours, kayaking, hiking and berry picking to name a few. 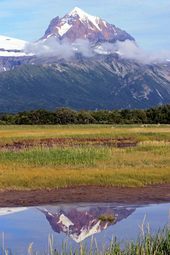 Other attractions are the Kenai Mountains, Kachemak Bay State Park, glaciers, volcanoes, viewing brown bear and a host of other wildlife, first class museums, art galleries and live theater. Homer is known as the gateway to both Katmai and Lake Clark National Park and Preserves, both of which have dense populations of brown bears. 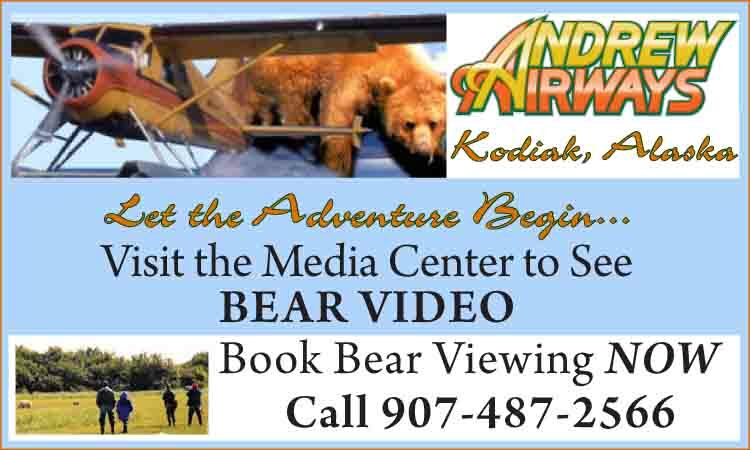 There are several Homer-based companies that provide quality, guided bear viewing experiences. Access to bear viewing areas from Homer can be provided by plane, float plane or boat. You can make a day trip or stay over night in a land-based camp. Photography, natural history and flight-seeing trips are also available. Bear viewing is an appropriate activity for just about anyone, but not every trip is a good fit for every person, so there are plenty of options. The Visitor Information Center can offer information about a variety of fun and safe bear viewing opportunities. 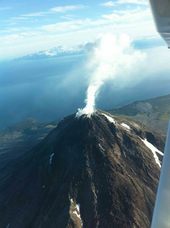 From Homer, Smokey Bay Air serves the Kachemak Bay communities of Seldovia, Port Graham and Nanwalek with multiple daily flights, offers glacier and volcano tours, statewide charters, fly-in fishing trips, and in conjunction with Homer Air, great bear viewing experiences. Bears guaranteed or your money back! Sasquatch Alaska Adventure Company provides bear viewing, flightseeing and packrafting on a glacial lake with river running. 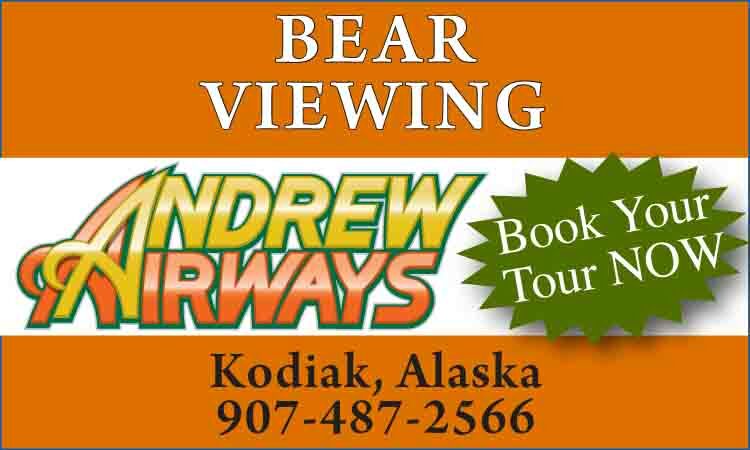 Adventures Airways offers bear viewing to Katmai and Lake Clark National Parks as well as scenic flightseeing trips over glaciers and an air taxi service. Homer was named in 1896 after a transient gold seeker, Homer Pennock. Although gold is uncommon in the region, coal is abundant and it was the impetus for building the original town on the tip of the Spit. Although the coal has no real commercial value, it is used by many residents to heat their homes. Homer is considered the arts capital of south central Alaska. Many fine examples of pottery, jewelry, baskets, paintings, weaving and furniture displayed in local galleries and gift stores are for sale. Gallery–hopping is a favorite activity for locals and tourists alike. The climate is mild as the area is protected from severe northern cold by mountains and moderating ocean currents. The summer high is rarely above 70 degrees. Annual precipitation is 25 inches, much of it snow, ideal for cross-country skiing and snow machining. A variety of modern facilities are available in Homer. These include fine motel/hotel accommodations, nearly 100 B&Bs, car rentals, private and city campgrounds. A variety of restaurants cater to every taste and feature the finest in fresh seafood. Additional visitor facilities include the Center for Alaskan Coastal Studies and the Carl E. Wynn Nature Center. Visitors will definitely want to experience Homer’s major sightseeing destination, the Alaska’s Islands and Ocean Visitors Center. 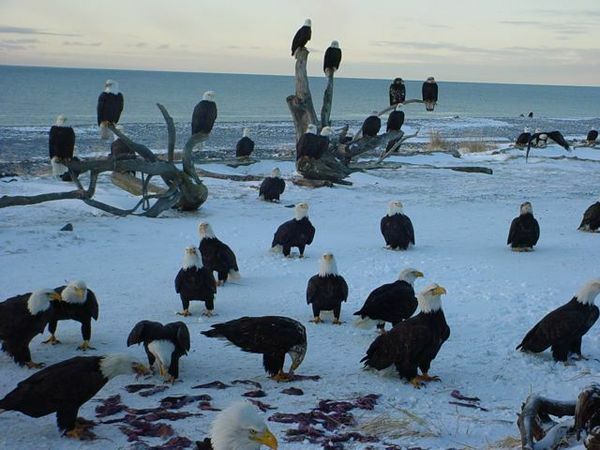 Virtually visit the remote Alaska Maritime National Wildlife Refuge, the world’s largest seabird refuge, through exhibits such as the Seabird Experience Theater, the Refuge through Time, and an award-winning film voyage to the islands of the refuge, Journey of the M/V Tiglax. Let the exhibits transport you into the offshore world of seabirds, other marine animals and their island and ocean habitats stewarded by the facility’s two partner organizations—the Alaska Maritime National Wildlife Refuge and the Kachemak Bay Research Reserve. Stroll through the exhibit area and investigate connections among animals, environments and people. Learn about local flora and fauna on guided nature walks over easy trails through wetlands and forest to beautiful Bishop’s Beach. Walks are free and incorporate up-to-date science information from the Center’s active research teams. 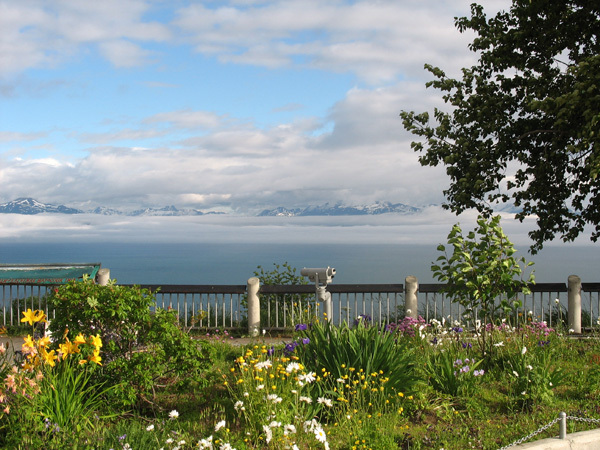 Gaze out on beautiful Kachemak Bay through a two-story glass wall overlooking Bishop’s Beach and Beluga Slough. At the Islands and Ocean Center, you can also surround yourself with visually stunning works of art meant to inspire and teach about the natural treasures of Alaska’s islands and ocean. Imagine you are on a beach at low tide as you look at the lobby floor embedded with 7,000 hand-crafted replicas of shells and other sea-shore items, while ceramic inter-tidal creatures on the walls of the lobby cling to the “tide-line.” Enjoy magnificent pieces of marine themed artwork inside and out, including life-size sculptures, stained and etched glass and murals. Find out about local birding and wildlife viewing opportunities from the wildlife people at Islands and Ocean. Open 7 days a week in the summer with free admission, the Center is located at 95 Sterling Highway. Visit www.islandsandocean.org or call (907) 235-6961 for current programs, open hours and special events. The Pratt Museum, sponsored by the Homer Society of Natural History, is located at 3779 Bartlett Street. 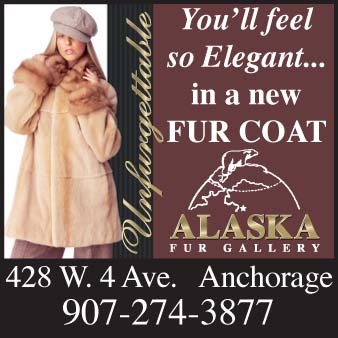 One of the finest museums in Alaska, exhibits of terrestrial and marine birds and mammals introduce visitors to the diversity of wildlife and habitats found in Alaska. Salt water aquariums and a touch tank feature the creatures of Kachemak Bay. The museum also hosts displays of native crafts, both contemporary and ancient. A self-guided tour through the adjacent botanical garden is a summer must. Sea kayaking is a great way to get a close-up look at spectacular coastline and wildlife. Homer’s Kachemak Bay is one of the best locations in Alaska to paddle and is considered one of the richest and most productive marine ecosystems anywhere. Its waters teem with sea otters, sea lions, porpoise, seals, whales, bald eagles, puffins and during May, one of the largest shorebird migrations in Alaska. Its calm, protected shoreline is dramatic, with jagged peaks rising from the water’s edge and many arches and caves found throughout the bay. Unlike most kayaking destinations in Alaska, you do not need a float plane or a long boat charter to get you out to the wildlife, calm waters or secluded areas. 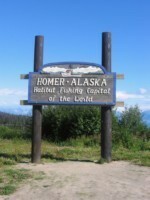 Homer is an outdoor enthusiast’s mecca and you can find everything you need for your trip in town or on the Homer Spit. Water taxis will ferry you to every corner of the bay. In May, make sure to set aside time for Kachemak Kayak Fest, a popular paddling celebration complete with kayak classes, demos, lectures and even a kayak fashion show. Winter king salmon feed heavily in Kachemak Bay and Cook Inlet, then return to Canada and the Pacific Northwest to spawn. They are by far the best eating salmon you’ll ever taste, since due to being immature they haven’t lost any of their high fat content. Adventurous anglers looking for a unique experience should try winter king salmon and halibut fishing trips out of Homer. Great fishing and the beauty of Kachemak Bay and its surrounding peaks transform a wintertime Alaska fishing trip into a truly awesome experience. Homer holds their annual Winter King Salmon Tournament in March. Anglers from all over Alaska and other states come to fight for that winning salmon in the one-day fishing extravaganza. The average year sees over 900 serious fishermen participating in the event, which offers substantial cash prizes and giveaways. 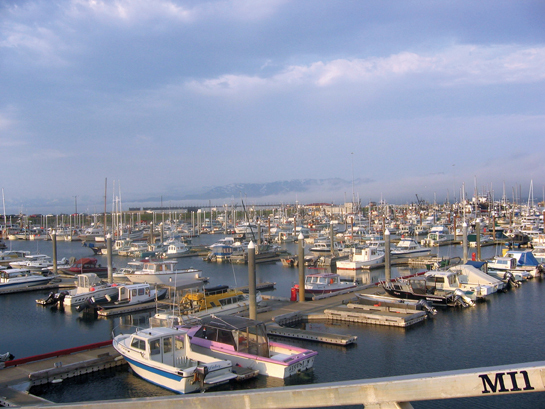 Homer is the Halibut Fishing Capitol of the World, housing the largest halibut charter boat fleet in Alaska, where experienced old salt captains have been taking fishing enthusiasts out to their favorite fishing grounds for decades. Most charter outfits do an outstanding job of giving their customers a great experience. Although halibut grow to over 400 pounds, fish that weigh between 15 and 40 pounds are the best size to eat and considered the fillet mignon of fish. It is not unusual for a charter boat to bring in several 50 to 100 pounders per boat a day.Trophy sport fishing can consist of a 2 to 3 hour-long boat ride to the Barrens or Elizabeth Island where the big guys seem to be more prevalent. 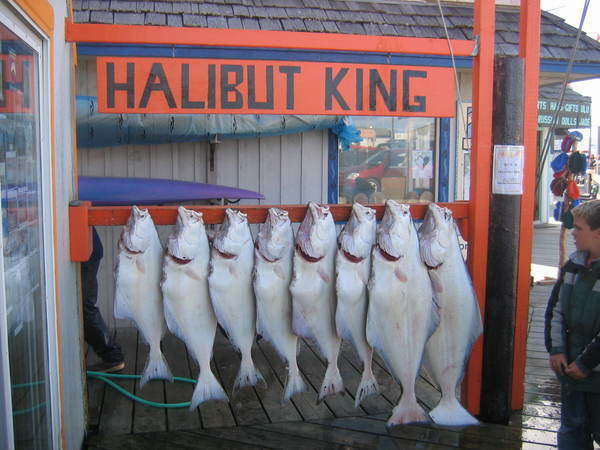 Homer’s Chamber of Commerce sponsors a Halibut Derby with tremendous cash prizes each summer that can really be the highlight of an Alaska vacation.